This 300-page fantasy novel takes you on an epic journey through the world of Alastian. Kind-hearted thief Griffin Blade and his traveling band of misfit companions—a fugitive dwarf, a betrayed elf, an imprisoned minotaur, a conflicted djinni—face peril at every turn. In the end, the very survival of their world may depend on Griffin Blade and his companions discovering the truth about themselves. ***Foreword Reviews INDIEFAB Book of the Year Award Winner! 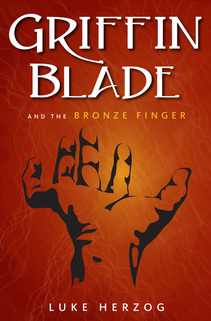 ​GRIFFIN BLADE AND THE BRONZE FINGER is the second novel by 14-year-old author Luke Herzog. DRAGON VALLEY, written when he was just 9 and 10 years old, is the 200-page story of five lab-spawned dragons, their evolution, their offspring, and their epic battles over one thousand years in the valley they call home. The author was featured in Time Magazine for Kids, which is distributed to hundreds of thousands of schoolchildren, and he has received emails from young readers nationwide who have been inspired by the story. 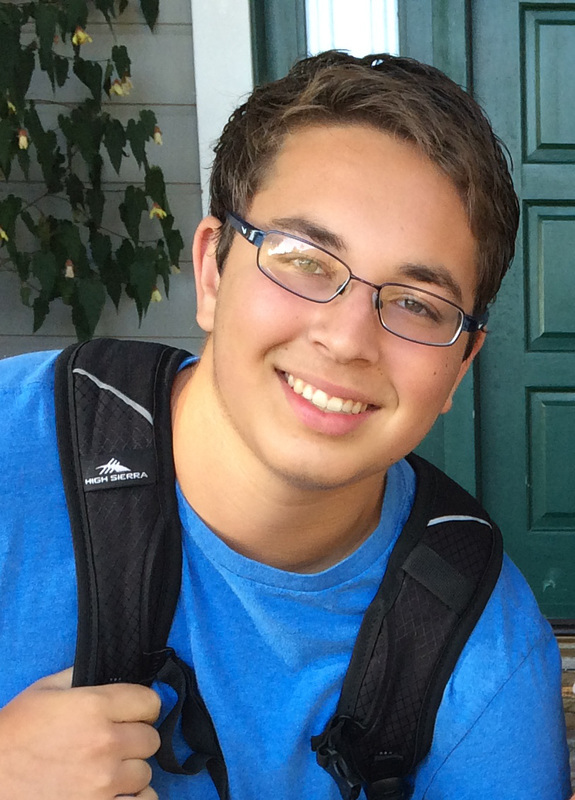 Luke lives on California’s Monterey Peninsula with his parents, his brother, and his dog, Pippin. Inspired by his positive summer camp experiences, Luke has chosen to partner this book with two summer camp-related charities -- the Camp Nebagamon Scholarship Fund and Camperships for Nebagamon, which provide opportunities for children who experience poverty and disability and those from socioeconomically diverse backgrounds to enjoy safe, joyful, and potentially transformative summer camp experiences.